Adventurers, pack up your things and head to Chessington World of Adventures Resort in 2015 for an expedition like no other. 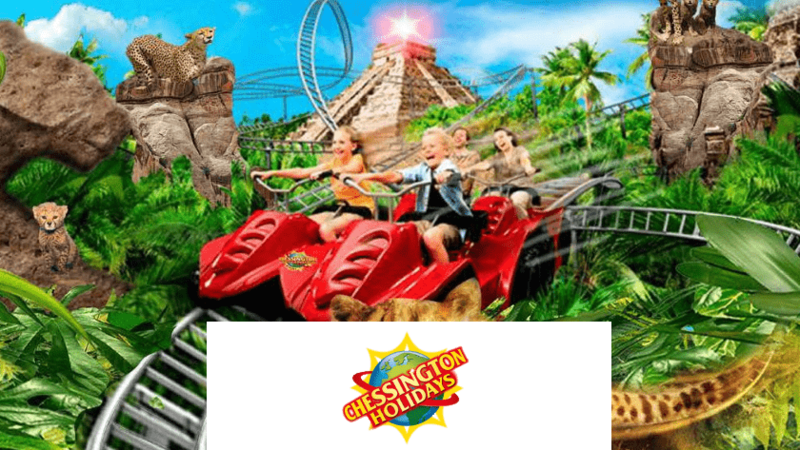 You could treat your family to a fantastic trip to Chessington for less when you book your Chessington Holiday today. By booking early you are guaranteed the very best availability and offers. Bed down at either The Chessington Safari Hotel or the brand new Chessington Azteca Hotel with its fully-themed bedrooms and amazing Savannah Splash kids water play area. Make even more savings when you stay just a short distance from the park in any one of our top nearby hotels like Hilton Cobham and Holiday Inn Express Epsom Downs. All of our family-friendly hotels make for perfect pit stops during your Chessington Holiday and provide a hefty breakfast* to feed your own hungry herd during your stay. Get an amazing family getaway at Chessington World of Adventures from little as £109.00 for the family. Ideal for Adults and pre-schoolers. Treat your little ones to a surprise with a Splash and Stay package at the Chessington Resort from only £69!